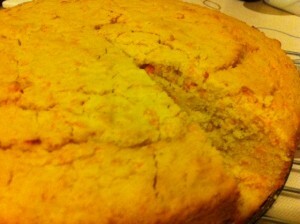 Gluten free carrot cake, a healthy version. I must admit I don’t have that much of a sweet tooth. It’s savoury things that get my tastebuds tingling. However with a glut of carrots eyeing me up from the vegetable rack and a frustrating day, I decided it was time to hit the kitchen and get my “bake on”. Cooking for me is one of my ways of relaxing. I’ve never made a gluten free carrot cake, so this was a test of my brain cells, pulling apart a few other recipes and adapting things to make a healthier version. I’m all for cake, but I’m not into too much sugar or fat and prefer a moist, light texture. So I went for plenty of carrots and mixed up my flours for texture. If you like your cakes with icing and more sweetness then feel free to knock up a cream cheese frosting to go on this, I didn’t as that’s not my bag. Mix the ground almonds, cormeal and sugar together. Then beat in the eggs and oil. Add the grated carrot and mix. I then put this in my food processor so the carrot was broked down further. Add the vanilla extract, baking powder, cinnamon and mixed spice. Pour into a well greased and lined cake tin. Bake at Gas Mark 4 for 50-60 minutes. Next time I’d add some raisin into this and perhaps some chopped nuts. Gluten Free Orange and Redcurrant Polenta Cake. I’ve been meaning to try a polenta cake for AGES, finally today I got my chance. We were asked to take a dessert to our home group meeting, typically although I was given a weeks notice it was at lunchtime that I realised with a slight panic I had to knock something tasty up. Having been inspired by seeing this lemon polenta cake last night and on a high after completing the filming for my Pilates DVD, I stepped up to the challenge, here it is fresh from the oven. 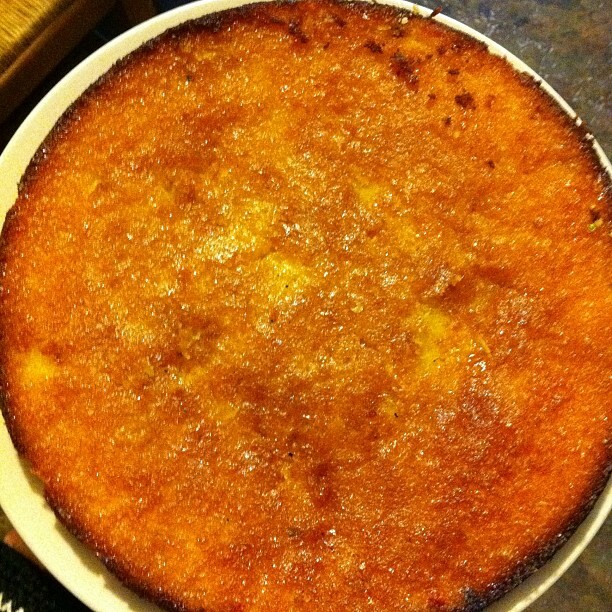 Dietitian UK: Gluten and Wheat free Orange Polenta Cake. I’m well known for NEVER following a recipe, so here’s my adaptation, partially because I had no lemons and partially because I’m just like that. I found the red currants added a really nice zing, but you could use any berries, I just happened to have these growing in my garden (though these were last years harvest from the freezer). 1. Preheat oven to Gas Mark3/150C, grease and line a cake tin (I’m no good with sizes so I’ll just say I used a round one!). 2. Cream butter and sugar, then add eggs one at a time. 3. 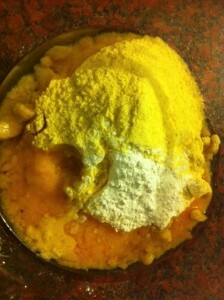 Add the ground almonds, baking powder and mix well. 4. Zest all 4 orange and juice 2 oranges, add to the mixture, add the polenta. 5. Spoon half the mix into the cake tin, then sprinkle on the red currants and top with the rest of the mixture. 7. Add the juice of the final 2 oranges to a pan with the 50g sugar, boil gently for 5 minutes to make a syrup. 8. Use a skewer to make holes in the cake and pour the syrup on, it will soak in. 9. 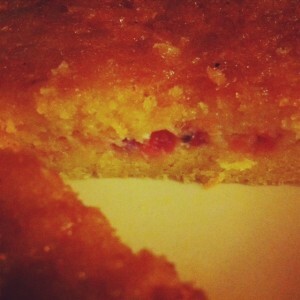 Allow to cook before removing the cake from the tin. It’s had a good reception from my taste testers. Really moist and tangy and the redcurrants looked lovely. 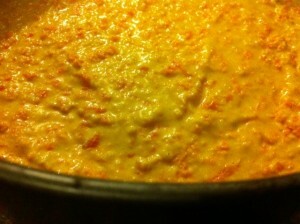 Though certainly a treat and not low fat, I’ll certainly be making this again. Nutritional Analysis per portion (assuming 10 slices): 290kcals, 18.3 g fat, 29.2g carbs, 23.3g sugars.